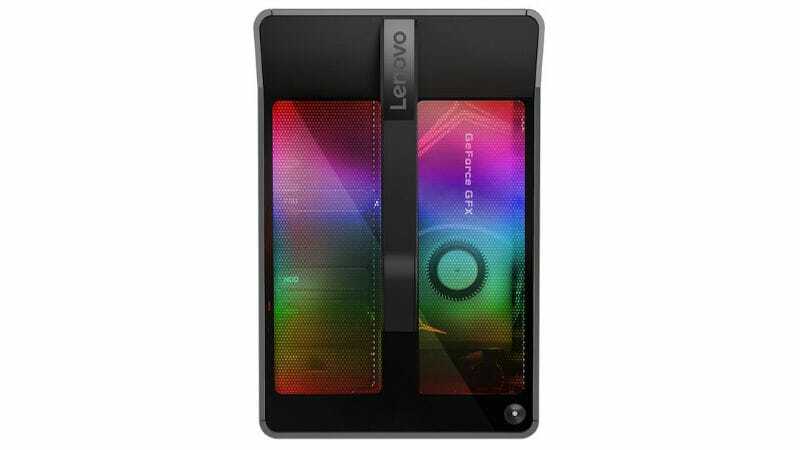 Lenovo, at E3 2018 in June and IFA 2018 in August, announced a range of gaming PCs. The updated lineup that includes two new gaming laptops, a gaming tower, and a gaming cube are now available in India. At an event in New Delhi on Tuesday, Lenovo unveiled the Legion Y730 and Y530 Laptops, C730 Cube, and T730 and T530 Towers with a variety of configurations. Additionally, the company has also launched the Legion Y25f-10 gaming monitor in the country. The new Lenovo Legion lineup comes with Intel Optane technology, said to improve the performance and response of PCs through adaptive machine learning. Gamers can now launch their favourite titles up to 2.48 times faster, load game levels up to 32 percent faster than on other PCs, and rapidly save their progress with up to 2.1 times better overall system performance, claims Lenovo. "As people passionate about technology, Lenovo's investment in research and development is about bringing to life the innovations we ourselves would love to use for the ultimate gaming experience," said Shailendra Katyal, Lenovo's Executive Director and India PCSD Consumer Leader. First up, in the Lenovo Legion Y530 laptop that comes with 62 percent thinner bezels than previous Legion variants. It sports a 15-inch full-HD IPS panel. Processor options include the 8th Generation Intel Core i7-8750H or an Intel Core i5-8300H. It comes with a 144Hz panel, upto 32GB RAM, 512GB PCIe SSD, and a 2TB HDD. Graphics card choices that include a GeForce GTX 1050, 1050 Ti, and a GeForce GTX 1060. Additionally, it has a white backlit keyboard, and a 52.5WHr battery. According to the company, the laptop can be "optimally cooled via a re-engineered dual-channel cooling system". The Legion Y530 laptop is priced at Rs. 85,585 (exclusive of GST). It will be available via Lenovo's exclusive stores and other offline stores such as Croma, Reliance Digital, and Ezone. It will also be available via Lenovo's official site in India. The Lenovo Legion Y730, on the other hand, comes with a starting price of Rs. 96,025. The laptop comes in 17-inch and 15-inch display variants. It comes with optional 16GB Corsair DDR4 RAM. The gaming laptop is equipped with a Corsair iCUE RGB backlit keyboard and system lighting. The keyboard also includes six custom macro "Y" keys. Further, it is made of aluminium - anodised in Iron Gray colour and includes Dolby Atmos speaker along with Dolby Sound Radar. It will also be available via Lenovo's exclusive stores and other offline stores such as Croma, Reliance Digital, and Ezone, alongside online stores such as Lenovo's official site in India. 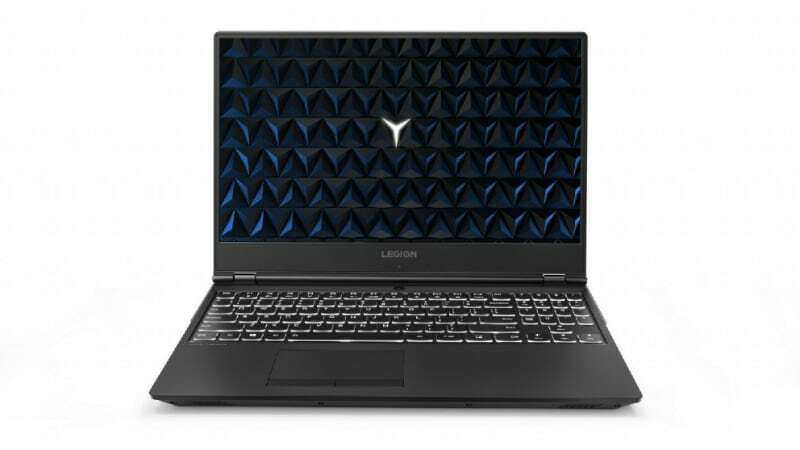 Notably, Lenovo has informed that the Legion Y530 on will go on sale starting Tuesday itself, but the Legion Y730 will be available for purchase, 15 days from today. It is worth noting that there are a total of 8 configurations between the Y530 and Y730, while users can upgrade the components themselves without worrying about warranty. The Lenovo Legion T730 is a 28-litre tower with an RGB chassis and a tool-free upgrade system. Processor options include 8th Generation Intel Core i7-8700K, Core i7-8700, and a Core i5-8400. Memory goes up to 32GB DDR4 with storage upgrades up to 512GB M.2 PCIe SSD and two 2TB SATA HDDs. The biggest draw, however, are the graphics card options, ranging from a Nvidia GeForce GTX 1060 up to a Nvidia GeForce RTX 2080. It's a VR-ready machine with a dual-channel thermal system and optional liquid cooling. Its price in India starts at Rs. 1,34,599 (exclusive of GST) and will be available via the mentioned channels. Similar to the Legion Y530 notebook, the Legion T530 has the subtle top texture radiating out from its power button. The 28-litre desktop has red lighting behind its thermal venting. The new tower PC has up to Intel Core i7 processors, paired with Nvidia GeForce GTX 1060 graphics. Its price in India starts at Rs. 86,299 (excluding GST) and will be available via the usual channels. Meanwhile, the Lenovo Legion C730 is a 19-litre small-form-factor PC with a cube design. It comes with an iron-grey chassis and an RGB system lighting and a transparent top panel. Processor options include an 8th Generation Intel Core i5-8400, Core i7-8700, and a Core i7-8700K. It is also equipped with Nvidia graphics, an overclocked Corsair memory, a chassis featuring a dual-channel thermal system, and a transparent top panel. The Lenovo Legion C730 is priced in India at Rs. 1,34,599 (exclusive of GST) and will be available via the same channels. Notably, the PCs will available in the next 8 to 10 days, the company has noted. Interested buyers will be able to purchase the products from Wednesday (September 12). Finally, the Legion Y25f-10 gaming monitor is said to be designed for gaming. It sports a 24.5-inch bezel-less display and comes with AMD FreeSync Technology with fast 144Hz refresh rate. It has a 1ms response time that claims to minimise display stutter and input lag. It will be available in India at Rs. 17,100 (excluding GST) via the mentioned platforms.